It seems like we were just celebrating the New Year and now it’s May. May is a month of celebrations, too, as it’s National High Blood Pressure (HBP) Education Month. It’s a time to clear the cobwebs about HBP and focus on the ways we can control it. It’s basic biology. Blood flows through the body in a series of vessels. Arteries take oxygen-rich blood from the heart to the organs and tissues throughout the body. Veins carry the oxygen-depleted blood from the tissues back to the heart. The blood in the arteries has to make it all the way around the body. That starts with blood pressure. Simply put, blood pressure is the force of the blood pushing against the walls of the arteries as the heart pumps. This gives the blood in the arteries the thrust to make its journey around the body. However, too much pressure damages the walls of the arteries themselves. The first, larger number is the systolic pressure. That measures the pressure generated when the heart is pumping. The second, smaller number is the diastolic pressure. This measures the pressure in the arteries while the heart is filling with blood and resting between beats. Fortunately, there’s a simply, painless test to measure blood pressure that can be done almost anywhere, including at home. Blood pressure is considered one of the basic vital signs of health. 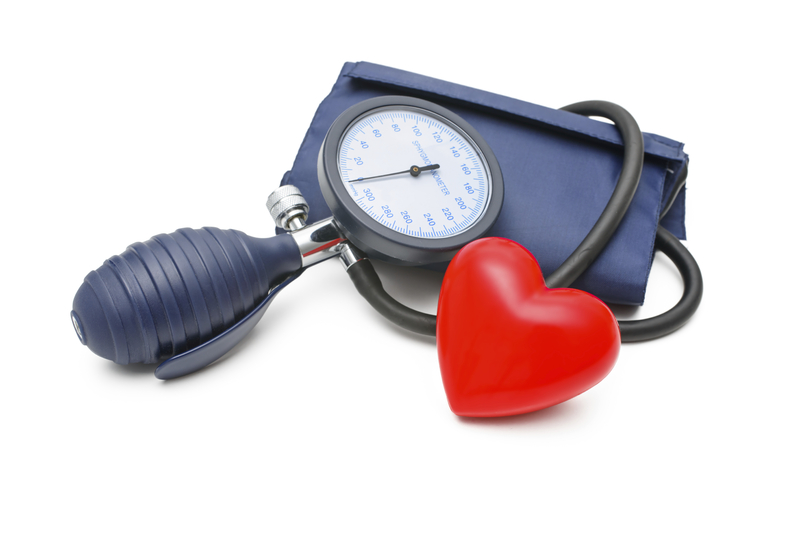 Your doctor likely measures your blood pressure at every visit. Blood pressure screenings are also generally available at pharmacies and community health fairs. Blood pressure will vary slightly depending on the time of day, and might rise if you’re exercising or taking certain medications. However, if your systolic blood pressure reading is 140 mm/Hg or higher, and your diastolic is 90 mm/Hg or higher, you are considered to have HBP. It’s time to take action and get control. Eat a nutritious, low-fat diet with plenty of fruits and vegetables. Exercise regularly. Try for 30 minutes a day most days of the week. Limit the salt (sodium) in your diet. Guidelines recommend less than 2,300 mg of sodium per day. If these steps don’t get you to your goal, your doctor might add a medication to your treatment plan. There are many types of medications to choose from, including diuretics, beta-blockers, calcium-channel blockers and ACE inhibitors. It may take more than one medication to get your blood pressure under control. HBP is not curable and it doesn’t go away. It is an ongoing challenge. Be sure to monitor it closely with your health care provider to be sure it doesn’t get out of control and lead to serious complications. You can even get an inexpensive home blood pressure cuff to keep an eye on it between doctor appointments. Whatever you do, don’t lose sight of your HBP!